Introduction by Go-Wine.Com. The "craft" movement has become an intrinsic part of consumer product goods in the US. One clear beneficiary has been the craft beer movement. At one point at the peak of the movement, anecdotal evidence indicated that there were one or two craft breweries opening every day. When will the bubble burst? Has it burst already? The rapid growth in craft breweries will require more operations to produce a drink that is unique and tastes good, while devoting less attention to the fact that they are making beer, profiting from it or selling it with catchy labels, according to MarketWatch. The number of breweries in the U.S. has increased from 1,447 in 2005 to 5,005 at the end of 2016, much of it tied to craft brews. According to Brewbound and IRI Worldwide, however, craft beer’s growth slowed to 4% by volume last year, the first time it hasn’t increased by double-digit percentage points since 2004. The Brewers Association said the 8% growth seen in mid-2016 was “a period of maturation” for craft beer. "If you want to stay in business for more than a couple of years, you’d better be making some really great beer. It’s only getting more competitive out there,” Neil Witte, founder of Craft Quality Solutions, told MarketWatch. The explosion in craft breweries has come as major beer producers have consolidated, highlighted by the mega-merger last year between giants Anheuser-Busch InBev and SABMiller. 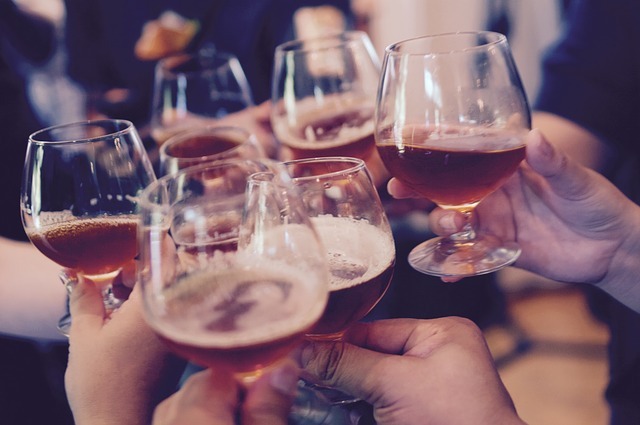 Craft brews have benefited from the public's interest in a more localized and diversified breed of beer, factors that have disrupted the U.S. marketplace for the drink. Even big players such have tapped into craft beer, with AB InBev purchasing Karbach Brewing and Devil’s Backbone in the past year. To be sure, it’s a business decision that makes economic sense. Research firm Euromonitor estimates overall U.S. beer consumption will decline through 2019, but that of ale — which includes the most popular craft beer styles such as India Pale Ale and pale ale — is expected to increase at a compound annual growth rate of 8%, USA Today reported last March. As the number of craft breweries increases and competition further intensifies, some businesses may decide to merge to save money on ingredient and production costs, while helping them sell their wares to crowded bars and restaurants with limited taps available. Other successful operations could consider going the way of Karbach and Devil’s Backbone and sell themselves to bigger beer operations. The move, however, is a risky one that could turn off consumers attracted to the independence and perceived better quality of craft beers. Still, even if the growth of craft breweries slows or a higher rate of them go out of business, specialty suds will continue to be a prominent part of the industry. After all, beer lovers have shown an affinity for craft brews while souring on many of those produced by big conglomerates. But prior booms and busts in the beer industry should serve as a notice to brewmasters that longevity is best-ensured by making a tasty, creative brew that wows sophisticated beer drinkers awash in options. Just because you make a craft beer may no longer guarantee your success.